I figured a good way to get back into blogging and revitalize this place would be to participate in CCY’s Twelve Moments of Anime project. Of course, this is why I’m writing my first post today, while everyone else is halfway done; unlike CCY (and apparently everyone else), I’m not crazy or skilled enough to blog while taking finals. However, I’m done with the semester, and ready to write, so here we go; my 12 Days will be counting down to the end of 2009, with the final post going up on December 31. I watched Akagi this spring (appropriately, on CCY’s recommendation) and I was captivated by it. The series kept me on the edge of my seat for all 26 episodes, always wondering what would happen next. The tension eased only when Akagi managed to do the seemingly impossible, grasping victory from certain defeat. Akagi follows the adventures of the titular protagonist and his legendary skill in mahjong. Throughout his dealings with increasingly shady portions of the underworld, Akagi remains a gambler of the finest class; he plays to win, and never wastes a thought for his own survival. Time after time, against the most cunning opponents and astronomical odds, Akagi perseveres and claims victory. I suppose that Akagi himself is a pretty uninteresting character by traditional standards—he doesn’t really have any motivation or fear, and we rarely see what’s going on inside his head, except when he explains how in the world he won. Some might write him off as a simple madman, gambling his life away whenever he gets the chance. But he brings out so much in the characters around him as they react to his insanity—players and spectators alike—that I feel his own apparent shallowness is justified. As they cope with Akagi’s miraculous actions and astounding success, we see how the other characters think and feel, and we get a glimpse of their fears and desires. Besides, Akagi never holds to traditional reasoning, and this is no exception; his character is more than a madman, since we, the viewers, fill in his character as we try to rationalize and explain his decisions and his wins. While we struggle to understand Akagi, we subconsciously wonder how we would do in his shoes, and learn more about him through the negative space opposite ourselves in that comparison. As a mahjong anime, I suppose watching Akagi for me is a bit like watching professional sports for someone else; the show really revolves around the mahjong games, and features some pretty amazing play (to be fair, it’s also the show that got me interested in mahjong, but that should say something similar about how impressive the play is). 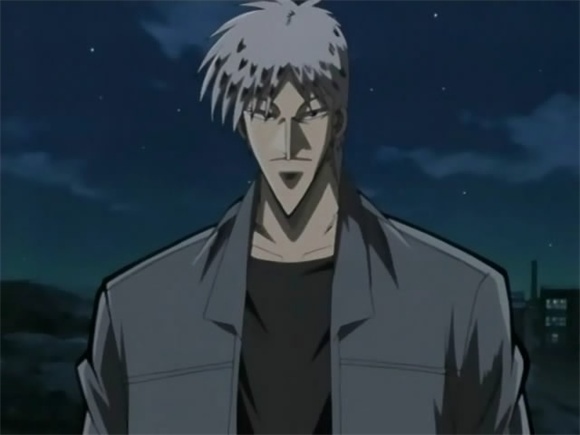 The first couple of episodes take time to explain the mechanics of mahjong to viewers unfamiliar with the game as Akagi himself learns to play, but the show’s explanations for Akagi’s actions quickly grow nuanced as Akagi’s skill increases and his strategy becomes highly advanced. There are any number of exciting moments in Akagi I could choose as Moment #12; Akagi’s first big play, stealing his way into a yakuman hand in the first episode, is a great moment showcasing Akagi’s bravery and brashness. 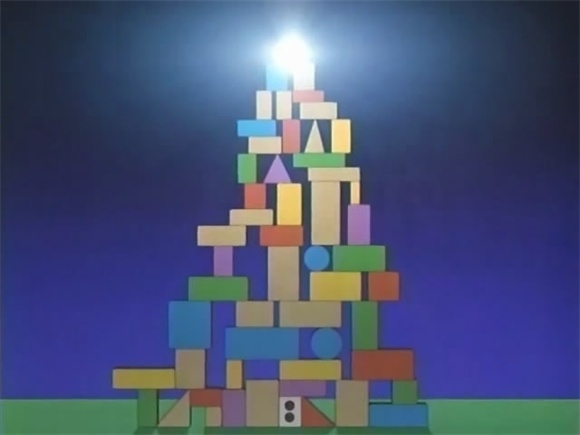 His battle against Ichikawa was intense, from the Tse Ii Men all the way to the final dramatic dora indicator switch. And then there’s Washizu’s famous rongasm. Urabe deals the wrong tile. However, none of these are as impressive as Akagi’s win over Urabe in episode 13. 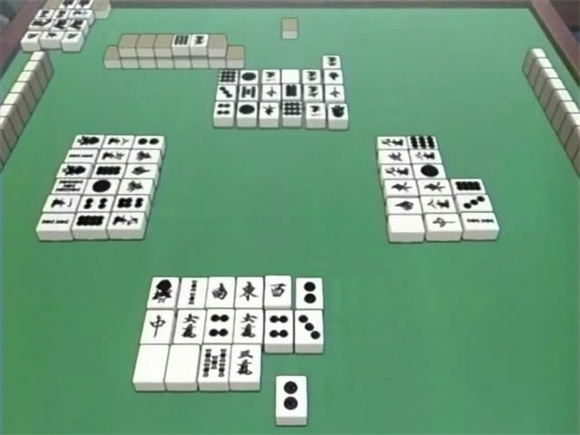 On the last tile in the last hand of the last game, Akagi is waiting on the single hidden tile in his hand, and for Akagi to win his opponent Urabe needs to deal the same tile. But despite Urabe’s hand being completely hidden, Akagi gets up from the table and motions to leave, claiming confidently that Urabe will deal the correct tile for Akagi’s upset, from any of the 14 tiles Urabe holds in his hand. Shaken but confident that he will avoid Akagi’s hand, Urabe deals the final tile, and a spectator overturns Akagi’s waiting tile—to reveal an upset. Akagi is full of seemingly miraculous wins, but this hand is the most dramatic and the most baffling to those watching. How in the world could Akagi know which of the 14 tiles Urabe would discard? How did Akagi even know which tiles Urabe could choose from? And how could he, with such confidence, declare prophetically that he would win? It seems miraculous, and considering the rest of the series one could write off the win as a product of Akagi’s unbelievable luck, but Akagi completely knew what would happen, setting this win apart from the others. But this win is only the first part of Moment #12; when the spectators ask Akagi all the above (obvious) questions, Akagi answers—and explains how he won. And what an explanation. Akagi's strategy, built from the ground up. Akagi starts from the beginning; as he says, “To know how Urabe had the 2 pin and why he dealt it are the top building blocks of my strategy. You wouldn’t undestand if I only told you about that, so I’ll start from the cornerstone.” Every move of the match was calculated; Akagi had been observing Urabe even before Akagi took a seat at the mahjong table. By throwing his friend Osamu into the game and playing simple-mindedly, Akagi drew out valuable information about Urabe’s playing style while concealing his own play. Akagi learned Urabe’s habits and how he reacted under pressure; he learned that Urabe was reserved, and would neither attack nor retreat when confronted with danger. Finally, Akagi used this knowledge in the last game to freeze Urabe in his tracks; Akagi hinted at a powerful hand and forced Urabe to play conservatively, and thus predictably. Akagi knew from that point how Urabe would play, and he knew that Urabe had a loose end from earlier—one tile that he would deal first—that Akagi could attack.